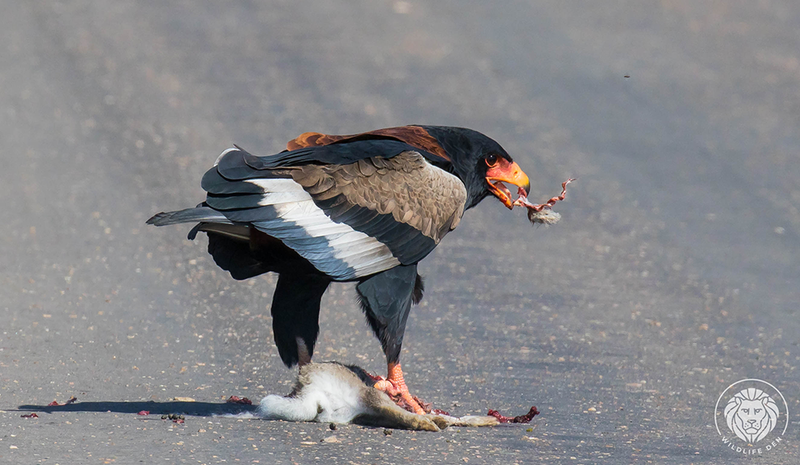 We observed this Bateleur (Afrikaans name Berghaan, Zulu name iNgqungqulu) steal a kill from a Yellow-billed Kite. 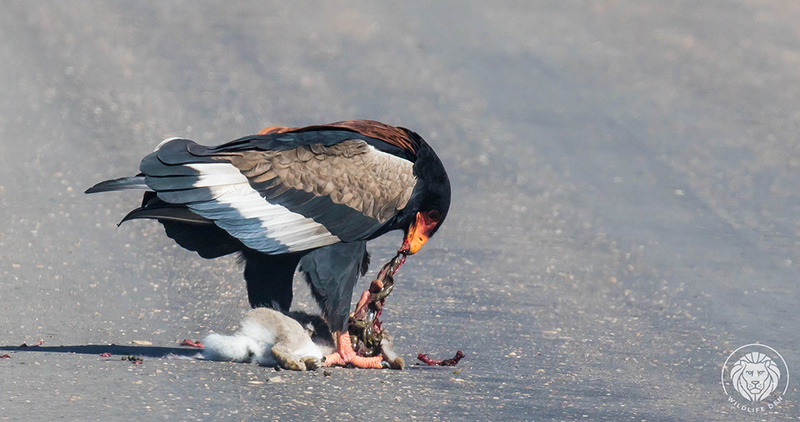 One minute the Yellow billed Kite was busy eating and next minute there was the Bateleur. 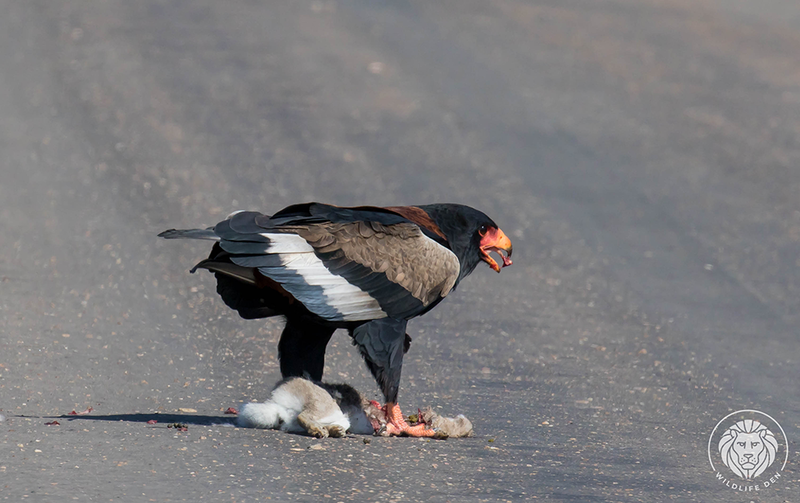 The Bateleur is one of the bigger eagles in South Africa and is now listed as Vulnerable. 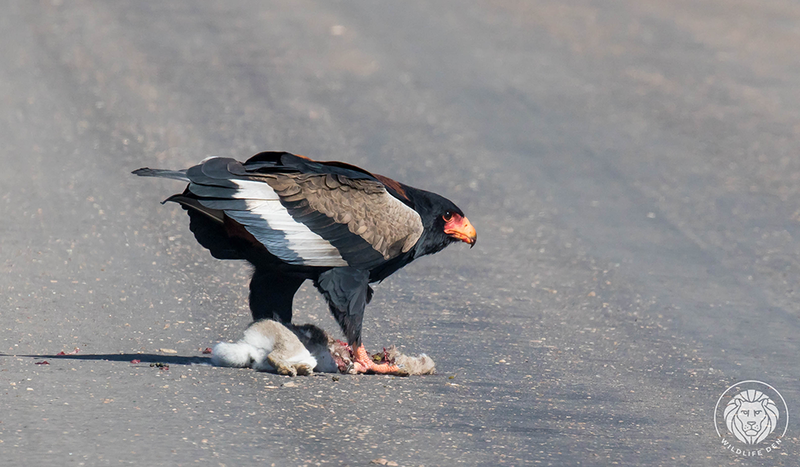 The Bateleur immediately took ownership of the kill and began by ripping out the intestines, then pieces of meat. It was busy eating even the fur of the Scrub Hare.